Wilbur has lost his step. Actually, he’s probably lost a lot of steps. Glad to see that Wilbur will have nothing to do but chomp on grass---and nap. 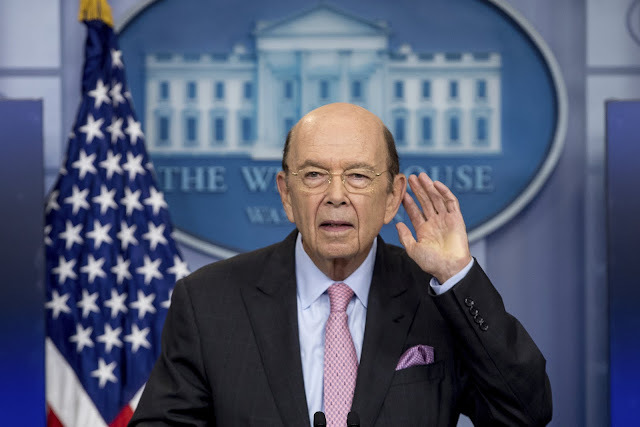 A source I had contacted about something more important responded that not only has Wilbur Ross fallen asleep at every meeting he’s been in with source, but that he drools - and uses his tie to clean it up. If only every government person slept the whole time while on the “job”. I’m reading a book about the NYC government fiscal problems in the 70s. The “heroes” when told not to show up because it can’t pay you instead showed-up and rioted. Unfortunately they will probably choose rioting rather than sleeping.